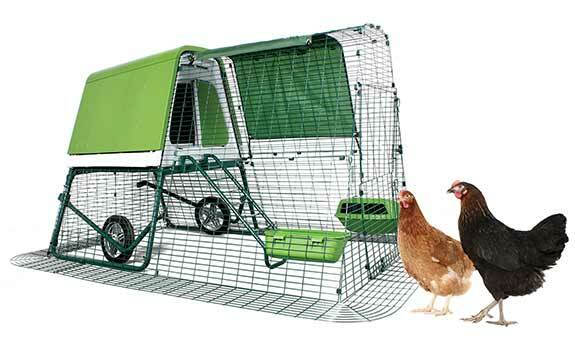 Omlet take a step up in chicken housing with their latest coop – the Eglu Go UP. With all the benefits of the Eglu Go on legs, the Eglu Go Up is easy to clean, easy to move and no more bending down to collect eggs. Perfect for the first time henkeeper, it’s straightforward to use and comes complete with everything you need to start your new hobby including feeder, drinker and egg boxes. Hens love to roost off the ground, sleeping in a warm and cosy hideaway and having a private area to escape to for laying eggs. Optional wheels makes the house and run really easy for placing in another area of the garden to let the grass recover. The Eglu Go Up is available in purple and green, from £449 – please visit the Omlet website for further information.